Take Me Out To the Ball Park – Baseball’s Opening Day – March 31st | What is ML Reading? To kick off the Opening Day of Major League Baseball a few book ideas. Becoming Babe Ruth by Matt Tavares – This is Matt Tavares latest book featuring baseball. He must be a huge fan. Six of his thirteen books published are about baseball. 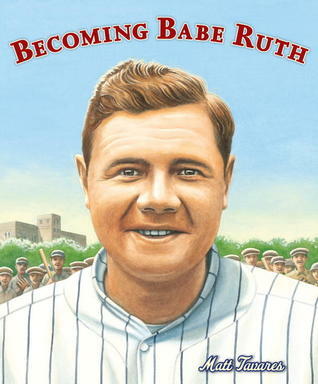 Until we read this book, all I knew about Babe Ruth was he was a great baseball player and a candy bar bore his name. I had no idea Babe Ruth’s parents sent him to reform school when he was ML’s age. He never forgot his experiences. Throughout his career, he was especially kind to children in reform schools, orphanages, and hospitals. Don’t miss A 3-Minute Drawing Lesson with Matt Tavares. I love it when illustrators show their process. 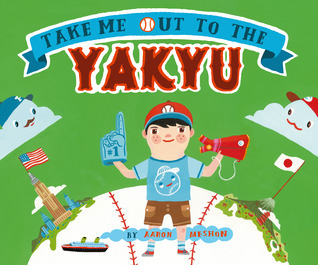 Take Me Out to the Yakyu by Aaron Meshon – ML’s cousins live in Japan, so this book caught her interest. Told from the perspective of one boy attending two baseball games. One in the United States with his grandfather; and one in Japan with his other grandfather. Each page spread compares something about the United States to the same thing in Japan… transportation to the game, details about the game, descriptions of the stadium, taking a bath and finally dozing off to sleep. ML’s favorite pages show the food eaten at each location. As a lover of edamame, she’s interested in attending a game in Japan. Who’s On First? 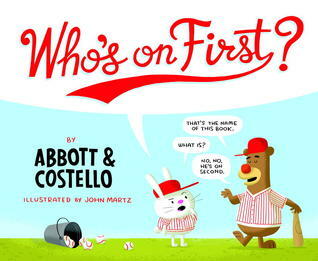 by Abbott & Costello and illustrated by John Martz – Many know this Abbott & Costello comedy routine by heart. I do not. Truthfully, I never understood why it was funny until I read this recently published picture book version. 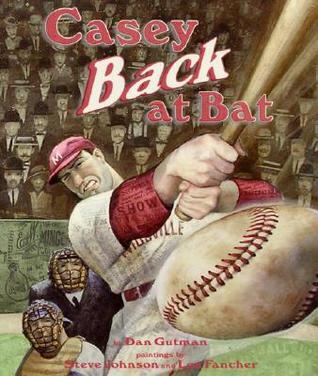 Casey Back at Bat by Dan Gutman and illustrated by Steve Johnson and Lou Fancher – A creative sequel to Ernest Lawrence Thayer’s famous poem “Casey at the Bat: A Ballad of the Republic” written in 1888. Casey does not strike out. Instead, he hits the ball. It flies around the world and universe. Finally, returning to the stadium. Then… My lips are sealed. Read the book for this fun play on Casey at the Bat. ML enjoys attending the local minor league team’s games. I’m not sure she watches the game, but she loves the chance to run the bases after the game. There are many other great books for kids about baseball; both fiction and non-fiction. I’ll feature a few on April 15th. Some people refer to it as Tax Day. I’s also celebrated as Jackie Robinson Day. This entry was posted in Picture Book and tagged Aaron Meshon, Albert & Costello, Becoming Babe Ruth, Casey Back at Bat, Lour Fancher, Matt Tavares, Steve Johnson, Take Me Out to the Yakyu, Who's on First? by mlreads. Bookmark the permalink.